It has been well established by now that there is a link between bipolar disorder and creativity. This link is not understood at the neurological level, but is evident at the behavioral level, where wild mood swings characterize the so-called artist’s temperament. 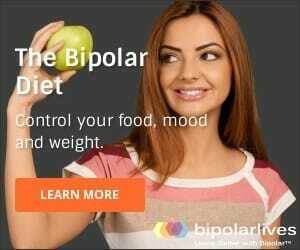 It is important that people with bipolar understand there is treatment available which stabilizes the moods without sacrificing any of the creative ability. The more emphasis there is placed on the gift itself, instead of the relationship between the gift and the illness, the better. Whenever there is a strong correlation between two behavioral traits, in this case mood swings and creativity, there is a strong tendency to assume a causal relationship between them. That is, many people will assume that the wild mood swings are necessary for creative work. There is no reason, however, to assume that this relationship is causal. It could just as easily be that both the mood swings and the creativity are parts of a bigger package and that treating the mood swings does not erase the creativity. Furthermore, the mental and physical exhaustion that goes along with a sustained and untreated manic episode makes it nearly impossible to produce good work, even if you are having a lot of great ideas. I know from experience that pushing my up moods too far doesn’t lead to greater accomplishment. For a long time, however, I believed the opposite. I read lots of biographies about great artists and physicists and thought that I had to be just as depressed as them, or just as crazy as them, if I wanted to do anything great myself. This belief led me to resist treatment and push my own moods to extremes until I eventually ended up in the hospital. Now that I am seeking a balanced life, using medication as part of my strategy, I have noticed an increase in productivity without a corresponding loss in creativity. Before seeking treatment, there existed an enormous gap between the grandiose plans in my head and what I was actually accomplishing in reality. Now that I recognize my mood swings to be a deterrent to my productivity, I am slowly closing the gap. By putting emphasis on the gift, rather than the illness, one may learn to suppress the illness while honoring the gift. The fact that this can be done, even with the use of medication, is something that I wish had been explained to me by my psychiatrist a long time ago.